When it comes to renting a property, one of the big questions to ask yourself is should you rent from a private landlord or go via an estate/letting agent? 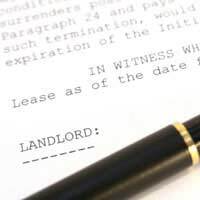 Private landlords are not bound to sign up to a code of practice or to any professional body that regulates letting agents, and this means that you could end up in difficulty if your landlord isn't someone trustworthy. If you do find one that you feel is trustworthy, then you might have struck gold. The arrangement you have with them might be more flexible than anything you sign with a letting agent: for example if you have a good relationship with your landlord and you want to get a pet, or decorate some of the rooms, then you may find that they will be happy to let you - whereas with a letting agent you'll just be told no if that is what the contract says. In terms of costs, renting from a private landlord can work out cheaper for the renter than letting through an agent because they can rent the property out directly to you - with no middleman. This means that they won't incur any charges such as those that a letting agency will charge to carry out the admin and look after the rental for them. It's worth remembering though that there is no guarantee a landlord will pass this saving onto you, so do some research first on other rental prices in the area and don't assume you'll get a better deal just by going with a private landlord - they may just charge you the same rate as a letting agent and pocket the lot instead! If you want to rent a property through a letting agent, ring around and leave your details with all letting agents local to the area you wish to live in. Let them know what you are looking for along with your minimum requirements, your price range and any conditions you insist upon - such as needing a property with a garden, or a house that you can move into with children or with pets. Before you register, make sure the letting agent doesn’t charge you for keeping you on their ‘books’. Most estate agents and letting agents will have websites that will have details of properties that are currently available to rent in the area you are interested in. Although some agents keep their websites bang up to the minute, you may find that quite a lot of them have properties advertised that have already been let - so don't be surprised if that happens. Make a list of any that interest you, and once you've looked at any photos and descriptions that accompany the property, if you're still interested, ring the estate agent and arrange a viewing. Doing things this way can save you a lot of time viewing unsuitable properties if you look at the photographs and the description and filter out anything that isn't what you are looking for straight away. If you've followed the first step and have left your details with local agents, make sure that you ring them every few days and check that they haven't had anything in. If you don't ring them back they may assume you've found somewhere and take your details off the file. If you are not in a huge hurry to move then once every few days or once a week is a good measure to go by, and you can make sure that you won't annoy the agent but you will make sure you are fresh in their minds should an appropriate property become available. However if time is short and finding a place is a matter of urgency, then you should ring them every day to find out if anything new has come in. Rental properties come and go really quickly sometimes, so put yourself at the head of the pack and they’ll probably heave a sigh of relief when you find somewhere suitable! Some letting agents will make a charge for checking references, writing up an inventory, providing tenancy agreements and other administration jobs. They may charge you this fee or they may charge the landlord instead, marking it as a 'finders fee'. Alternatively, they may spread the payments out and add them to your monthly rent - so as far as you know, you just make one payment and they take their cut. You will have to get a deposit together before you move into the property. It is an assurance against any damage that you cause, and you will have to go through and sign an inventory with a representative from the letting agent when you move into the property. Make sure you read this thoroughly and point out anything that has been missed off, making sure it is added on and initialed on both their copy and yours. The deposit will be 'held' by the letting agent in most cases but remains the property of the person renting the property. When the tenancy ends the letting agent will go through the inventory again and once deductions have been made for any damage caused to the property then you will get the remainder back.